Sure you can get those sample pieces from the mall any day, but for one day only you can get a whole pretzel for free at Wetzel's if you happen to be passing by one of its many locations. 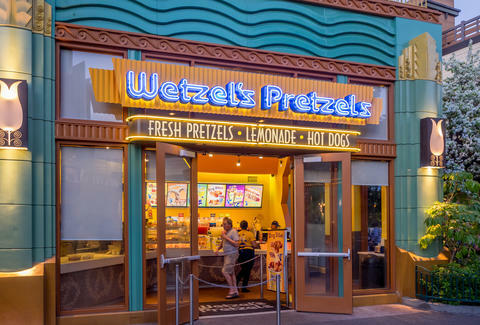 In honor of National Pretzel Day, Wetzel’s will be giving out free Original Pretzels on April 26, 2016 at participating locations as long as supplies last. You can also "like" or "follow" Wetzel's Pretzels on any of its social media accounts to grab a free oder of Pizza Bitz instead of an Original Pretzel. In that case, you'll just have to show the person at the counter your phone. Seriously, there is a day for everything. But hey, it usually means free stuff! Kara King is a News Writer at Thrillist and will go pretty far out of her way for free food. Send news tips to news@thrillist.com and follow her at @karatillie.